region. In this new role, Sandstrom will be responsible for managing and driving profitable sales growth through effective selling and building relationships within all Home Improvement Retail accounts. 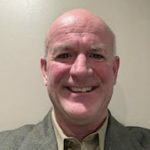 With more than 19 years of experience in the Home Improvement Retail (HIR) channel, Sandstrom was most recently served as regional sales manager for AGT Products Inc./DRIcore for 11 years.